before they even knew what letter ‘gangster’ started with. I would have had a difficult time not joining in their song! I was just in Denver at a preschool graduation and a high school one. Yup. Lotsa gangsters! How gorgeous! Sweet Caroline, one of my favourites. No, not at all the stereo-gangster, I think. Those were the days, my friend, we thought they’d never end. We’d sing and dance, forever and a day. Old songs surely still bond, I think, Beth, and your fifth-graders graduating on prove it’s so. 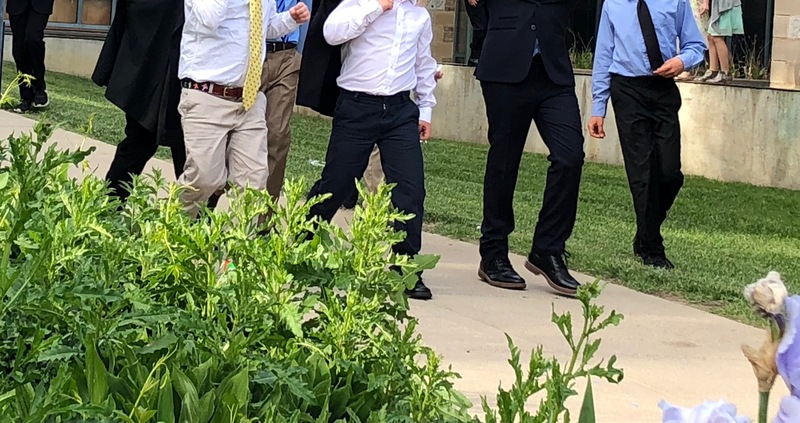 It’s Grad day here for the Middle schoolers….this is so cute, they are so excited! The Teacher too! Ahh the appeal of Neil! A true Diamond in the rough-ians. Exactly as life should be. All that is exciting ahead and many happy days behind.